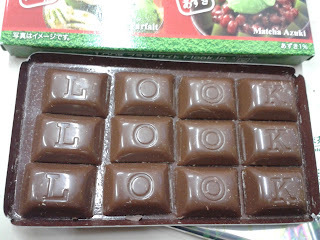 Japan's Fujiya brand has a "Look" branch of chocolate, featuring different flavors. This one I picked up features Matcha aka green tea powder and Azuki-red bean.. 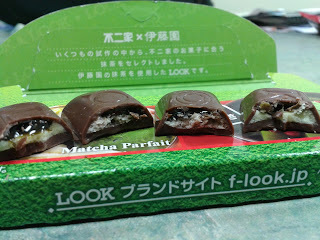 I was happy to try this since I love basically anything with green tea in it, especially in confectionary form. The packaging and presentation of the chocolate itself is very cutesy, in that the individual chocolate parfait bits have the letters of the name on the candy on them to spell it out. 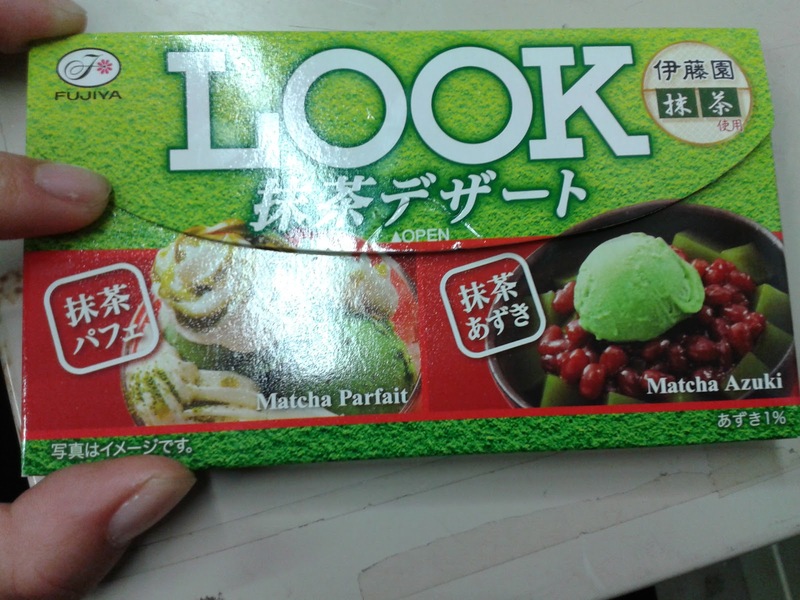 Now to the good part...from left to right, it goes green tea, red bean w/ matcha, red bean w/ matcha and the green tea again. Now to be honest, I wish that the flavors or maybe size of the choco bites were bigger at least so they can fit more filling inside. 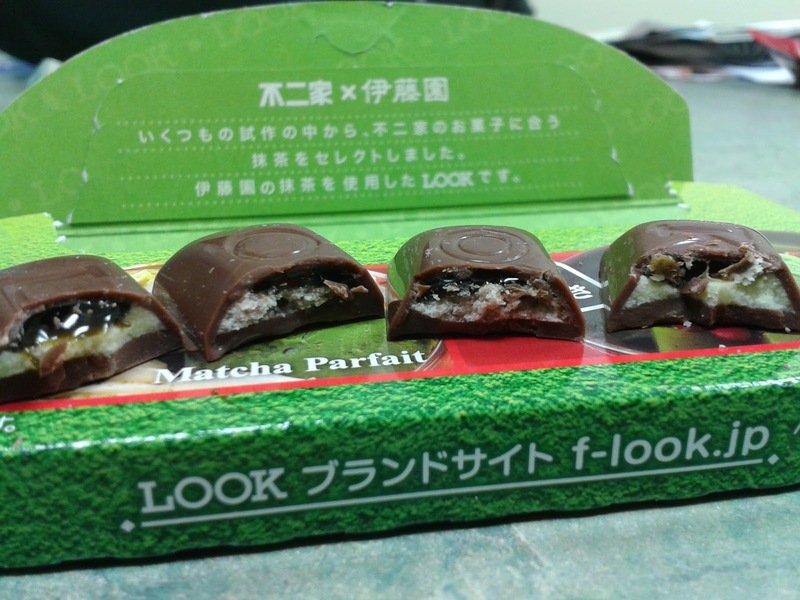 I found that eating it in one bite, for both flavors, the chocolate actually masked the flavors so it was a bit hard to tell taste it. 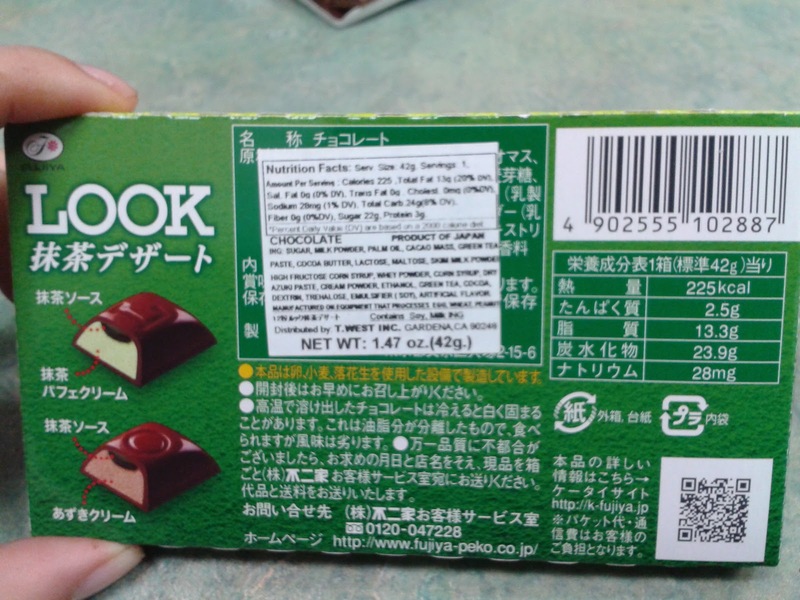 However, when I ate off the chocolate bits and tasted solely the inside flavors, I would say it is a legit flavor and would be pretty good even on its own. I just don't want to work that hard to taste the flavor of what it actually is. I probably wouldn't purchase this myself or this brand, UNLESS some intriguing flavor catches my eye and I would want to try out of curiousity. 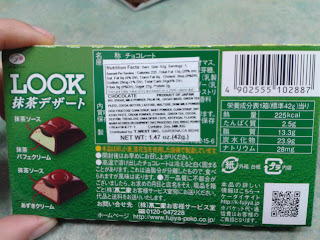 This product ranges from about $2.79 to $3.00 so it is also a bit pricey too, but for a chocolate from Japan, it's expected.